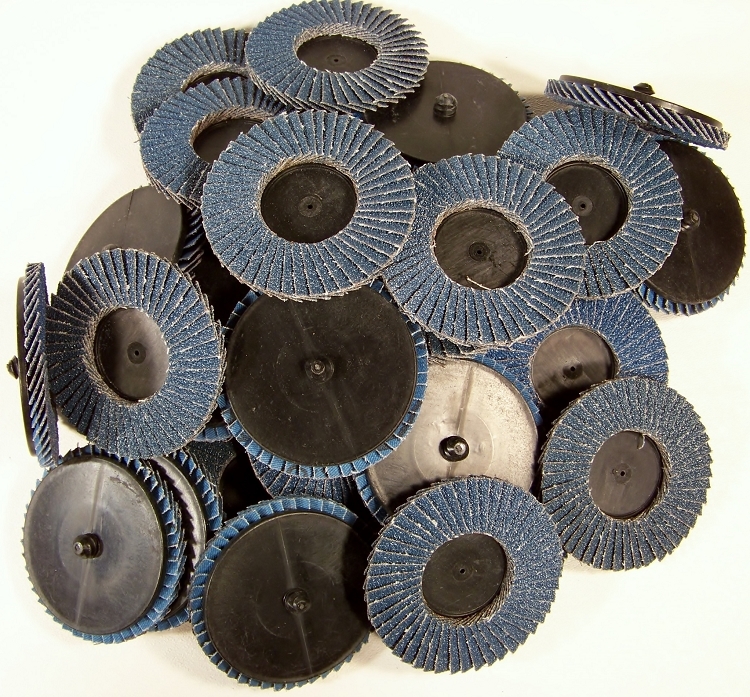 These 3" Flap Disc Type R Roloc Wheels are great for a wide variety of applications including Rust Removal, Deburring, Sanding, Flash Removal, and Light Grinding. Use on Auto Body Panels, Hard or Soft Woods, Ferrous or Non-Ferrous Metals, and Much More! Application: Stainless Steel, Aluminum, Wood, Plastic, etc.